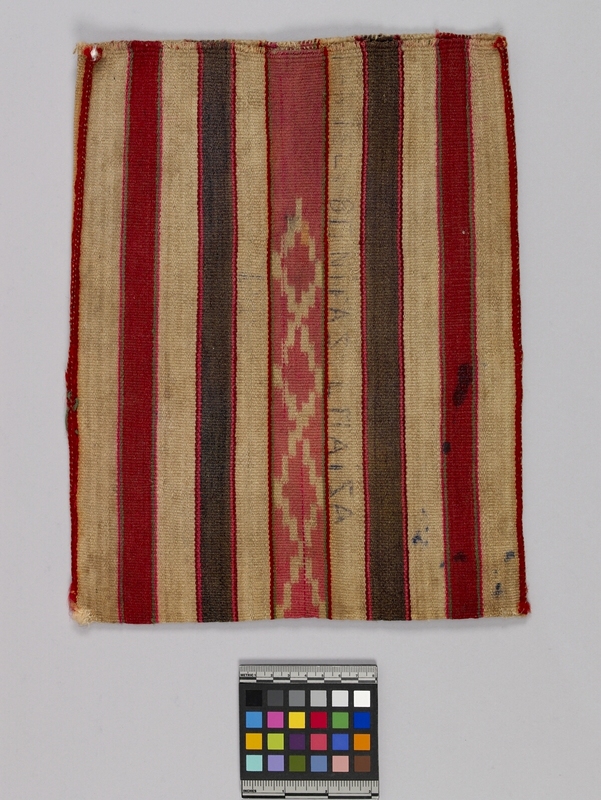 Item number Sf1087 from the MOA: University of British Columbia. 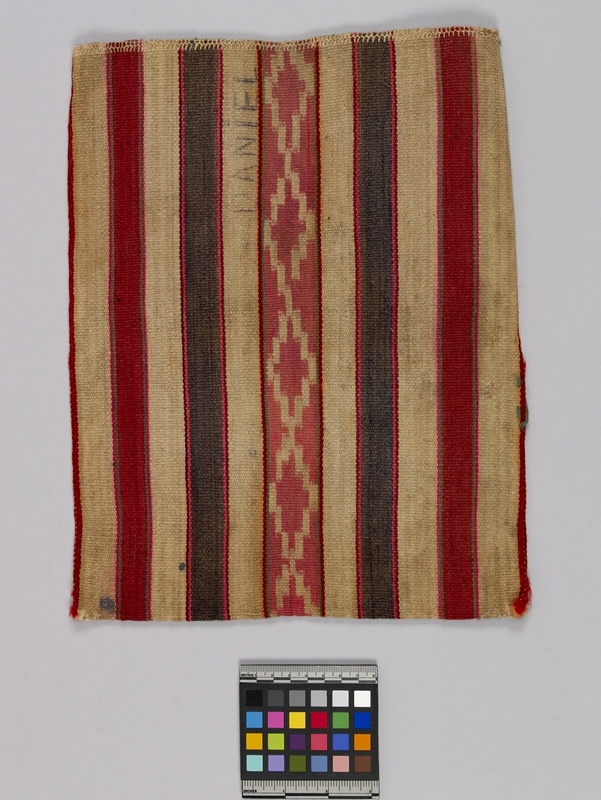 Rectangular, wool, strapless bag with a slit opening and a tie-dyed central pink panel with warp-faced stripes in red, green, blue and pink. The stripes are in sets, repeated and of differing size. One edge is feather-stitched in white. The name ‘Daniel’ is written on the surface in black pen; there is further writing on the other side. Used by men, particularly when working.